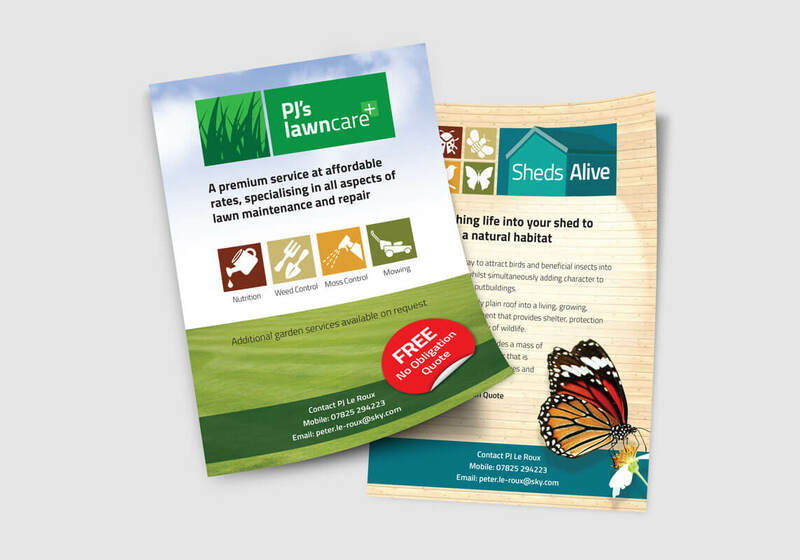 PJ's Lawncare+ commissioned a logo and flyer for his lawncare business based in Newbury. The company has two divisions, Lawncare+ Sheds Alive. Sheds Alive converts your shed roof into a living, growing, flowering environment that provides shelter, protection and food for a variety of wildlife.